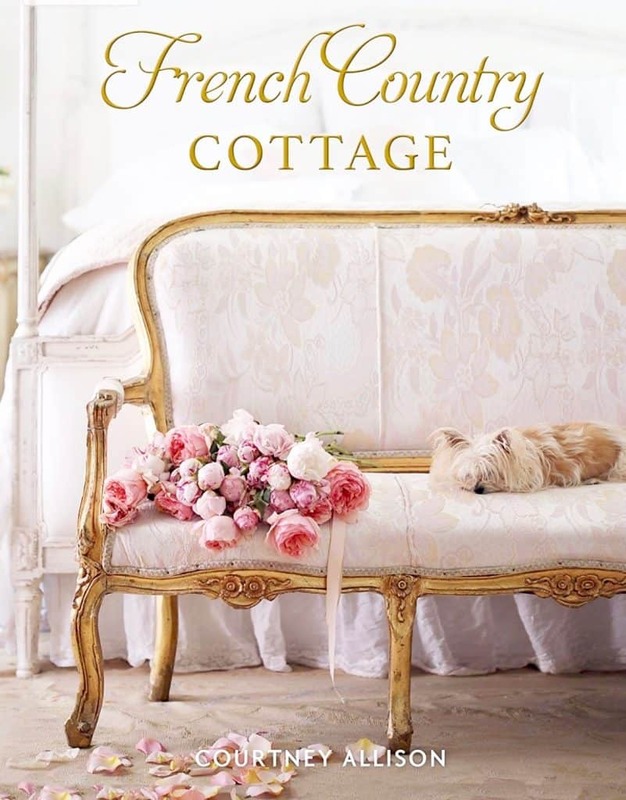 French country cottage style is well defined in this beautiful book by my long time friend Courtney Allison. 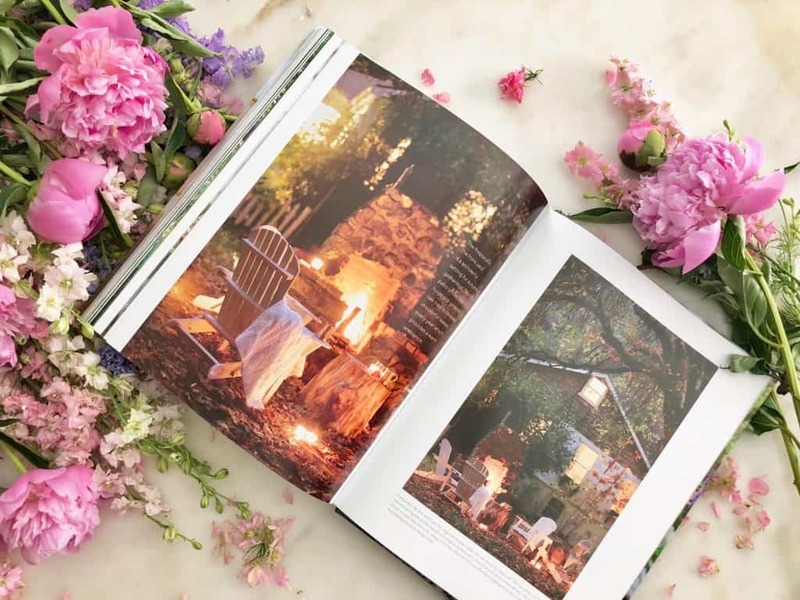 Exquisitely styled and captured showcasing her life in a California cottage that has a decidedly French feel! I love the glimpses into Courtney’s home that you don’t get a full view of often enough on her blog. I’ve had the pleasure of working with her on some projects over the years, including a couple of issues of our own magazine called Romantic Lifestyle…back in 2014. She’s come such a long way and is now the editor of a magazine that I used to work with often and you just MAY have heard of…Romantic Homes! When you watch a friend blossom and bloom it’s like a flower garden coming into it’s own in spring. Describing her roots from growing up in the California countryside, her family inspiration and all that brought her to where she is today. Courtney is an avid searcher for all things French-ified and as she says “mixes and mingles” her transformations, renovations and styling. 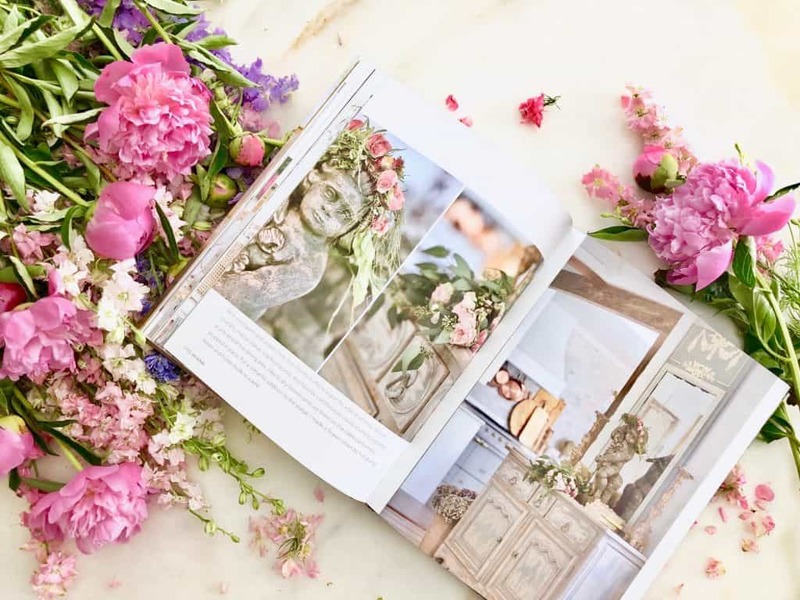 If you love flowers, romantic and shabby chic style… you’ll find plenty to love and study here with alluring table settings and enticing vignettes on her seemingly endless mantels. I recall many a phone conversation together talking photography, as some years back we both contributed to the same magazines in the U.S. and worldwide. Lots of laughing and learning both ways and I’m so enthralled by her style evolution. Hanging out with her at several events I learned that she’s a quiet observer and gets the job done leaving distractions behind. Every room in her home is stunning, but I think my favorite is Courtney’s kitchen with her LaCanche range that I’m slightly envious of! She’s not afraid of patina and masterfully blends old with new, rustic with romantic. 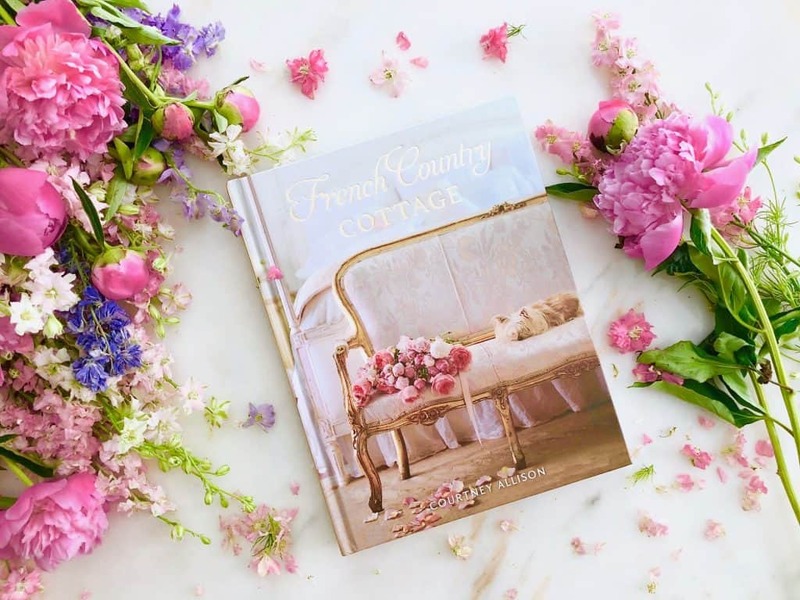 I know that this book French Country Cottage will have much success and be followed by others and I’m honored to share this with you. Find the book HERE and get lost in the beauty! Yes it is…stunning work inside the pages! What a gorgeous book and a great story! So happy for your friend and I’m thinking this is a book I need!! Have a great day! I cannot wait to go through those gorgeous pages of Courtney’s book….she is truly an inspiration as are you! Awwww, that’s a sweet thing to say Shirley 🙂 I can’t wait to see your new home…so exciting! What a lovely post Janet- thank you so much for your kind words! I can’t wait to get her book. Amazingly talented lady. 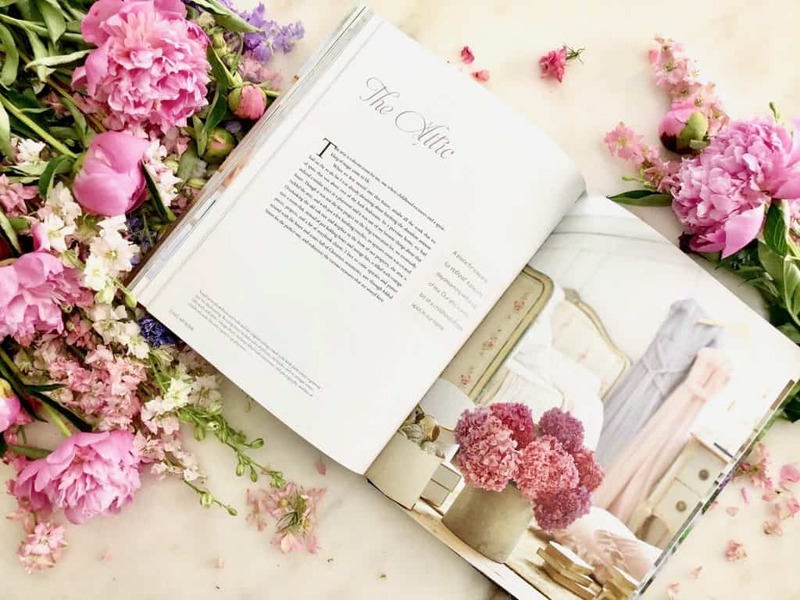 Love Romantic Homes magazine. Reading my issue that just arrived a few days ago. So glad that you ordered her book…you’ll love it. Happy weekend Cindy! I was looking for a pretty book today to get inspired and I remember this post, Can’t wait to get it!